Roxanne's new .25oz travel size of this popular glue is air tight and refillable from the 2oz bottle. 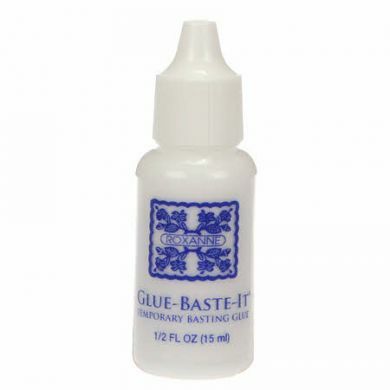 Roxanne Glue-Baste-It is formulated to tack fabrics together firmly for indefinite periods of time without adversely affecting the dyes or fibres. It has a neutral pH and is great for all kinds of art projects and scrapbooking as well! Excellent to take to class!